What Happens If You Decide Not to Subscribe Apple Music after the Free Trial? 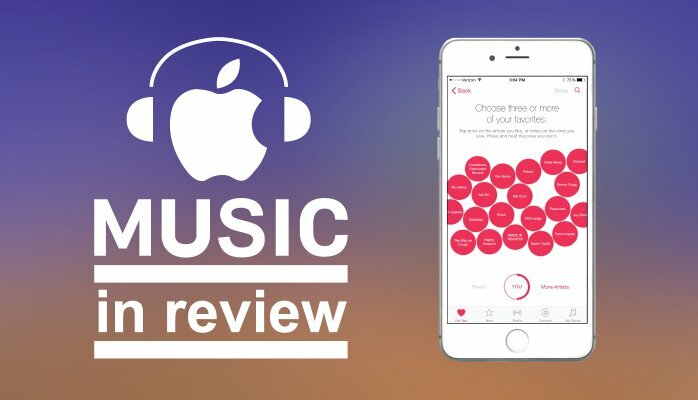 Once you cancel Apple Music subscription, you will lose access to the music you downloaded through your Apple Music subscription; and unless you switch to the iTunes Match service or the third party software, you won't be able to stream your previously downloaded music to your devices. This is because Apple Music is a streaming service and it adds DRM on all Apple Music tracks to protect their intellectual property being spread arbitrarily thus causing a great loss of profits gained from its service. 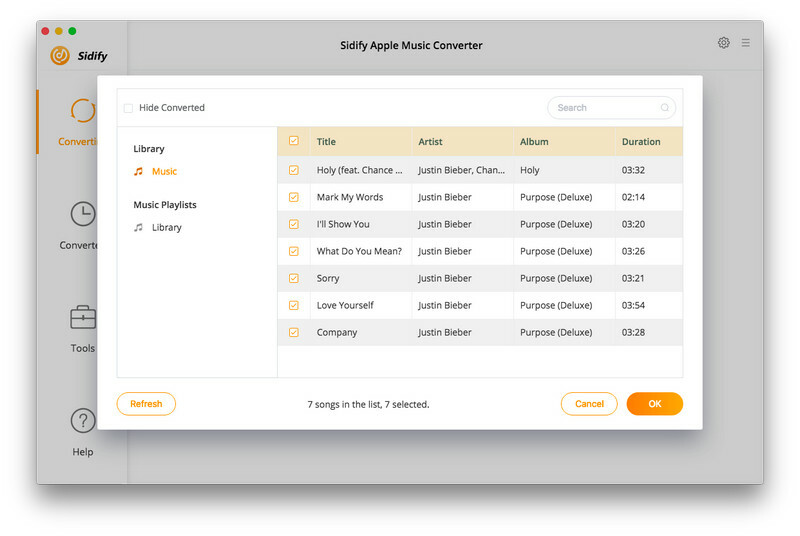 If you want to go cheap and keep the Apple Music playable forever on your devices, then the best tool that can help you is Sidify Apple Music Converter. 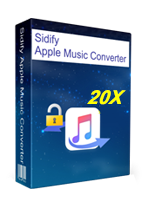 Sidify Apple Music Converter is an excellent third party software tool to remove DRM protection from Apple Music. It is also the fastest program that has ability to convert any iTunes playable music to unprotected MP3, AAC, WAV or FLAC format at 20 times faster rate. During the conversion process, there wouldn’t be any quality loss and thus you could get a high-quality output to stream your favorite Apple Music or iTunes music on any device. This tool is available for both Mac & Windows with user guide and tremendous online support. 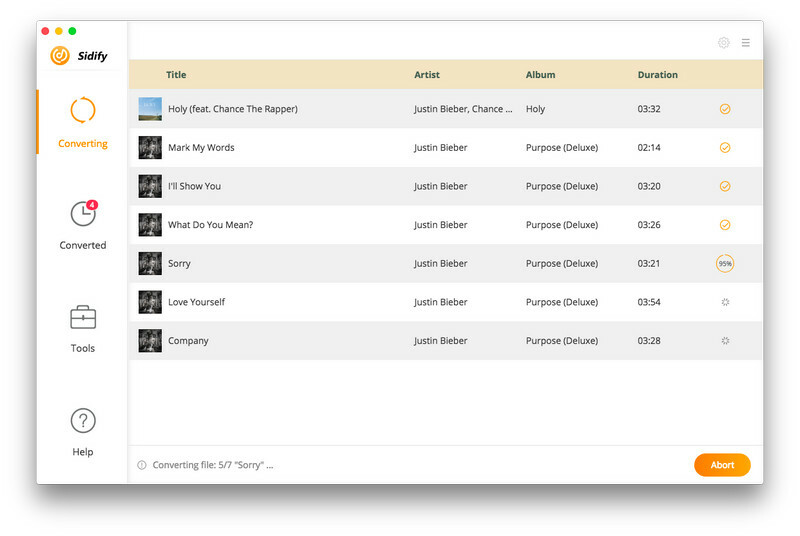 Tutorial: How to Strip off DRM from Apple Music Tracks? Just tapping the setting button at the upper right of Sidify, you can choose output format as MP3, AAC, FLAC or WAV and adjust some basic settings. Tips: Here you can also set the converting speed up to 20X and adjust the output quality up to 320 Kbps. Besides, the output path is also available to be changed as required. Click “Convert” to start conversion. After conversion finished, you can click to find the converted files. Now, you can keep all of your downloaded music from Apple Music forever even after canceling Apple Music subscription.